" I used the 12v cord to run my CPAP machine in our RV. The CPAP, with humidifier, ran great, with no problems. " 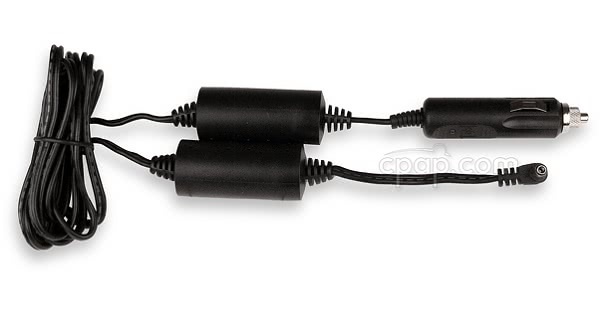 Use the Shielded DC Cord for PR System One 60 Series Machines to connect PR System One 60 Series machines to a 12 Volt battery source. The connection peg attaches to the 60 Series machine and the other end plugs into a socket such as a power/cigarette lighter outlet. IMPORTANT COMPATIBILITY NOTE: This cord works ONLY with PR System One 60 Series machines. It is NOT compatible with any other machines made by Philips Respironics or other manufacturers. Please see the Important Tips or Videos & FAQ tabs of this page for ways to identify a 60 Series machine. 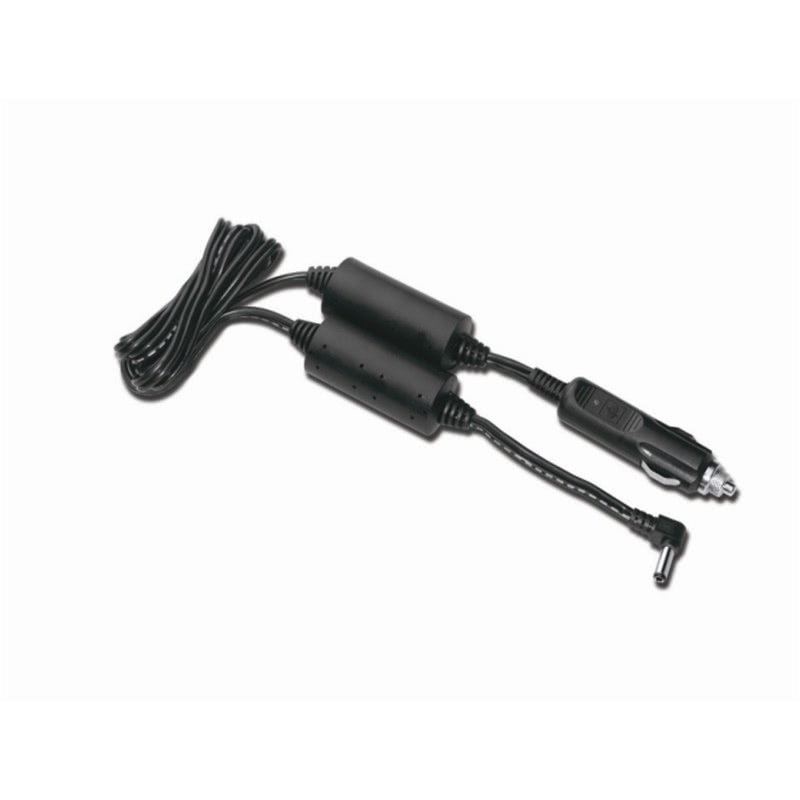 This DC power cord can be used to power 60 Series equipment directly from a battery source such as a deep cycle marine battery, by using the compatible Respironics, 12volt DC Battery Adapter Cable with Battery Clips. This cord works ONLY with PR System One 60 Series machines. It is not compatible with any other machines made by Philips Respironics or other manufacturers, including the original PR System One series referred to as the 50 series. When the device is not in use, the Shielded DC Cord should not be plugged into the vehicle. When DC power is being drawn from a vehicle battery, the manufacturer suggests only using when the vehicle's engine is turned off. Please observe battery capacity to avoid draining the vehicle's battery. The alternator, which runs when the vehicle is in use, can cause voltage spikes that will potentially damage the DC cord. The 12 volt is intended to be used with systems that are either "positive hot" or "negative ground" only. If these details are unknown, speak with the manufacturer of the vehicle. PR System One REMStar 60 SeriesMachines and Heated Humidifiers have a 6 pin connection between the machine and humidifier. 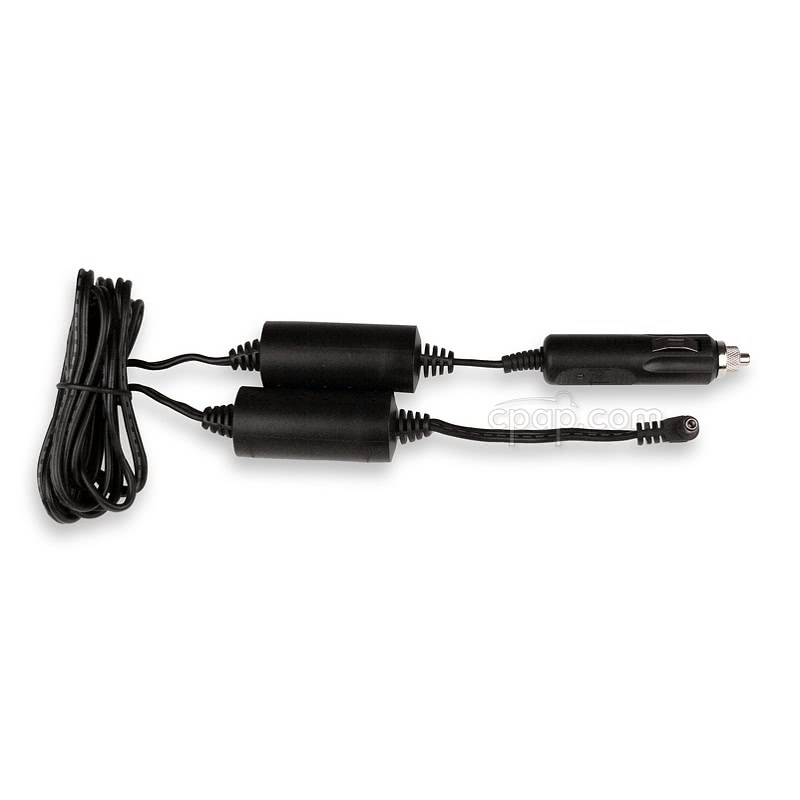 The Shielded DC Cord for PR System One 60 Series Machines uses an 8 AMP Fuse. It comes packaged with two additional 8 AMP fuses. This same fuse is used when using the machine alone and when the heated humidifier and heated hose are used. When using the heated humidifier with a machine, the battery run time will be significantly reduced. Assume that the battery run time will be cut in half with the use of a heated humidifier. If the heated tube is also used, assume that the battery run time will be reduce by another quarter of the time. To get the longest run time out of a battery, it is suggested to use the CPAP without the heated humidifier or heated tube. To add some moisture to the air stream, consider using the humidifier as a passover by connecting the humidifier filled with water, but without the power turned on. In this way a heated humidifier is functioning as a passover humidifier.